The day-long conference attracted only 10 students and around 30 middle-aged or older members of the public. In recent months, California campuses have been awash in conferences alleging an "assault on academic freedom" against those who "teach Palestine." In October, the University of California, Riverside hosted "Palestine, Israel and the Assault on Academic Freedom," while California State University Fresno followed suit on November 6 with, "Universities at the Crossroad: The Assault on Academic Freedom." 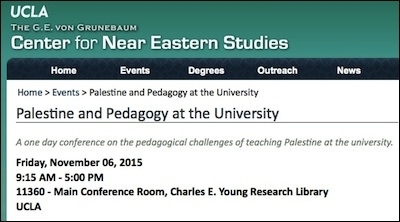 The same day, the University of California, Los Angeles held its own version, "Palestine and Pedagogy at the University (listen here)," sponsored by the highly politicized Center for Near Eastern Studies (CNES). UCLA's conference featured a succession of anti-Israel speakers complaining that the Palestinian narrative is being "silenced" on campus, particularly in the field of Middle East studies (MES). In reality, it is the MES establishment—as exemplified by the Middle East Studies Association (MESA), which passed a pro-boycott, divestment, sanctions (BDS) resolution earlier this year—that is biased against Israel. Around ten students and thirty middle-aged to elderly members of the public attended the day-long conference. The low turnout prompted one of the moderators to issue the disclaimer that "thousands" of people download CNES event podcasts. 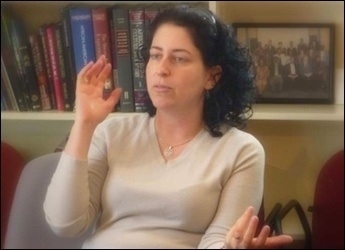 Lara Deeb is a founding member of the U.S. Campaign for the Academic and Cultural Boycott of Israel (USACBI). In introducing the first panel, Lara Deeb, professor and chair of anthropology at Scripps College and founding member of the U.S. Campaign for the Academic and Cultural Boycott of Israel (USACBI), proclaimed that, "We live in a society that is marked by structural racism" and "hate speech is generating an environment that is averse to learning." First to speak was Yaman Salahi, an attorney at the National Security and Civil Rights Program at Asian Americans Advancing Justice: the Asian Law Caucus. He began his discussion on "Academic Freedom in Middle East Studies" by warning the audience, "I'm going to start with the caveat that I'm not an academic. I'm a lawyer." Nevertheless, he felt confident in declaring that "academic freedom" does not exist in MES. Salahi inadvertently alluded to the field's paucity of rigorous, objective scholarship when, after noting that one can "engage in falsehoods" under the First Amendment," he added, "which I think generally would not pass in academia depending on what you think a fact is." It's important, especially in this moment, where so many different scholars in so many different fields focusing on the Middle East and in other fields are under attack. Or their ability to study, research and publish is under attack or they're being pressured to conform to certain, narrow political criteria. It's important for people in those fields to seek out these institutional positions at their university's committees of academic freedom. UCLA Law Professor Cheryl Harris claims that "pro-Palestinian" voices in the United States "are marginalized or simply not heard." 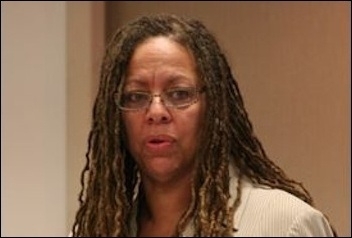 In a talk titled "Pedagogical Challenges of Engaging Palestine," Cheryl Harris, Rosalinde and Arthur Gilbert Professor in Civil Rights and Civil Liberties at the UCLA School of Law, attacked the principle of "neutrality." Using "racist speech" as an example, she claimed that, under the "rubric" of neutrality, "a certain kind of speech oppression becomes lawful [emphasis added.]" As she freely admitted, Harris is no First Amendment scholar. [A] host of private institutions, interests and organizations [that] exercise vigilance and seek to ensure that the dominant view not only remains dominant, but that other views are marginalized or simply not heard. The final panel of the day featured David Lloyd, an English professor at UC Riverside and member of the USACBI "organizing collective," who is notorious for using his classroom to promote BDS. 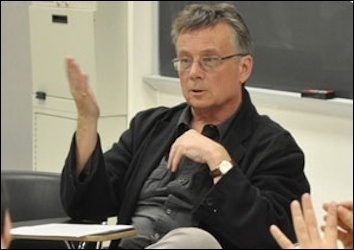 David Lloyd, an English professor at UC Riverside, accused "American Zionists and particularly liberal Zionists" of seeking "to suppress our speech." Referring to a UC Irvine talk on the "peculiar patterns of American Zionists' refusals of fact and . . . of debate," Lloyd accused "American Zionists and particularly liberal Zionists" of seeking "to suppress our speech" because they "are losing the argument the more and more the question of Palestine gets debated in public." What Lloyd and his ilk falsely label suppression is merely the pro-Israel, or scholarly, side exerting itself and fighting back after years of silence. Even when we fail, the Zionists get so heated up about the fact that we are discussing Israel in public that they scream it from the rooftops for us. So I just want to say, thanks. That's really helpful. During the question and answer session, panelists were queried about whether the deteriorating relationship between Jews and Muslims and the rise in Islamic anti-Semitism could be attributed to the fact that, unlike Christianity, Islam has not undergone a reformation. Lara Deeb of Scripps objected to the premise of the question because it places "a particular a kind of Christian historical perspective on Islam" and involves "viewing Islam through a very, very [Western] centric lens." Asked if she agreed with Egyptian President Abdel Fattah Al-Sisi's call for an Islamic reformation, she stated, "I don't think this idea of saying Islam needs a reformation makes intellectual sense." Instead, Deeb, displaying exactly the sort of ahistorical projection she had just decried, chalked up the problem to Zionism, claiming that what is, in fact, Islamic supremacism is merely "political divisions related to contemporary history and the history of nation-state building." UC Santa Cruz anthropology professor Lisa Rofel chimed in: "I also don't think the Christian reformation led to a better relationship between Christians and Jews. So I'm a little confused by that assertion." The crowd burst out into laughter and started clapping, despite the fact that both professors glossed over the dire need for progress in the Muslim world, regardless of the historical parallels. Far from demonstrating that there is an "assault on academic freedom," speakers at the UCLA conference proved the opposite. Railing against "suppression" from a podium in a major university doesn't exactly inspire sympathy. Moreover, given the utterly unfounded claim that critics of Zionism are being targeted and muzzled in the lopsided field of MES, the entire premise rests on an inversion of the truth. It's time to break out the world's smallest violin. Cinnamon Stillwell is the West Coast Representative for Campus Watch, a project of the Middle East Forum. Adelle Nazarian is a journalist and contributor with Breitbart News who has reported extensively on politics, national security, Asia, and the Middle East..